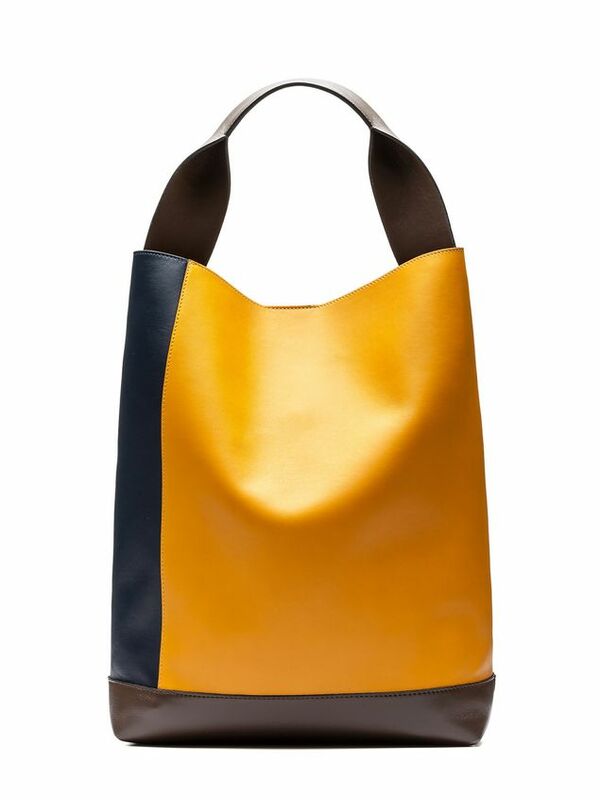 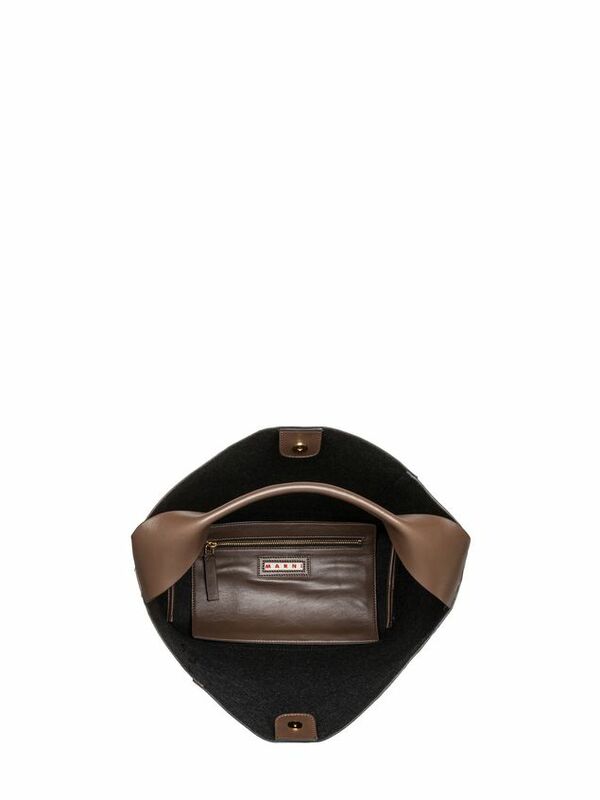 POD bag in lambskin. 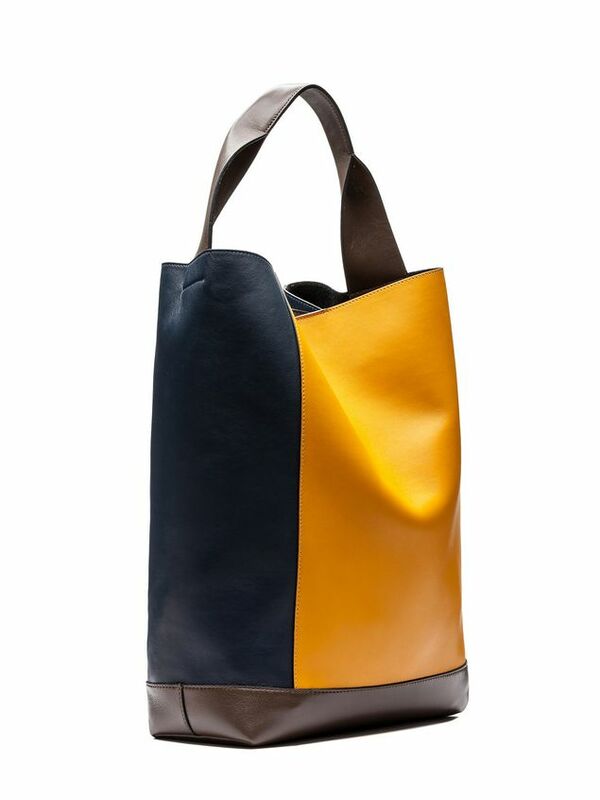 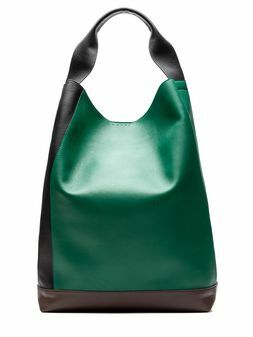 The softness of the material and the large capacity distinguish this medium-sized, tri-colored bag with folded handle and bottom applied onto the outside. 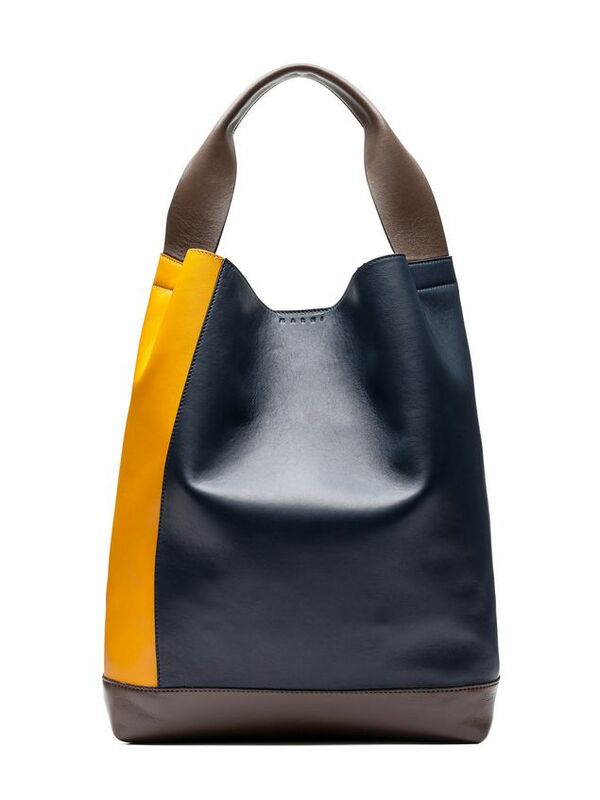 The inside is in felt with a detachable pocket and the logo is impressed along the opening of the bag.